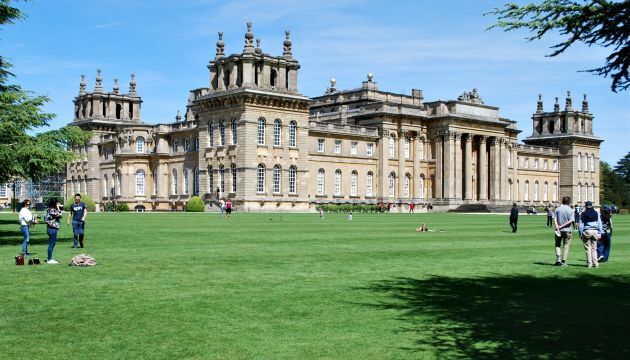 Blenheim Palace is one of England’s most significant stately homes. It has 300 years of history, is the seat of the Duke of Marlborough and was the birthplace of famous war-time Prime Minister, Winston Churchill. A visit today allows you access to the state rooms in house, including the incredible library with its own pipe organ, the chapel and full access to the gardens and grounds. The state rooms are everything you’d expect them to be – ornate, decadent and full of rich antiques. You only get to see the downstairs though (unless you’ve paid extra). 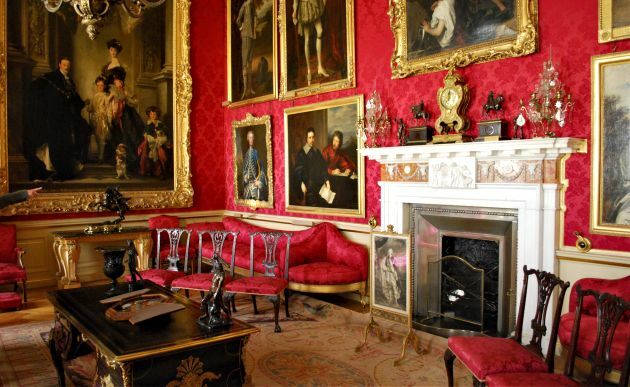 The Red Room below is one example of how sumptuous the rooms are. Upstairs there is a curious ‘untold story’ visitor experience which we found somewhat tedious. However, we’d definitely recommend a visit to the chapel, which is attached to the main house. It’s absolutely lovely. From there you can enter the gardens. There’s a stunning Italian Garden on the side of the house, but to be honest beyond that it’s mainly parkland rather than formal garden areas. There is a rose garden and several walkways to enjoy however. 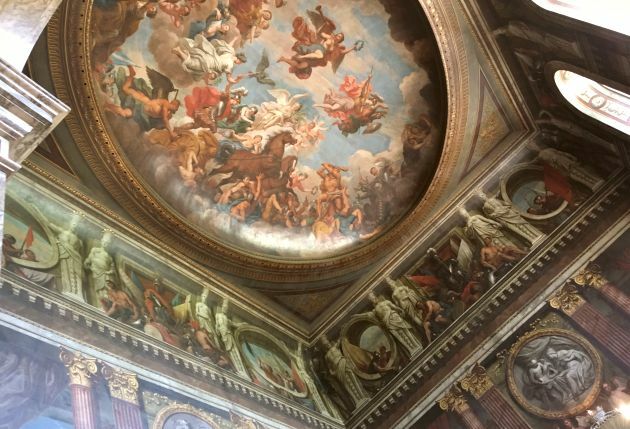 One other highlight is the spot where Winston Churchill proposed to Clementine Hozier, in the Temple of Diana summerhouse, who would become his wife. 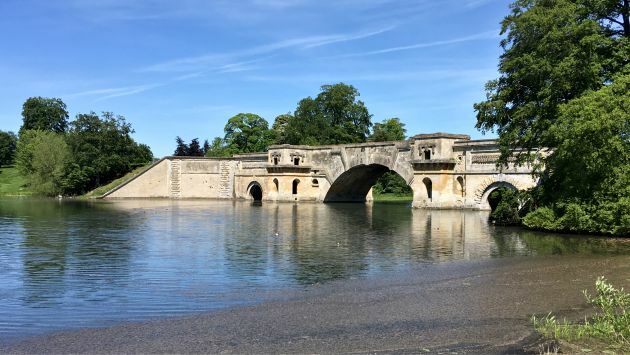 The historic bridge is also worth walking to, although you can’t get inside it.